My work reflects a wide variety of interests such as painting, drawing, photography, geology, music, ceramic history, and architecture. The urban (and industrial) landscape has special resonance, and is incorporated in many different forms. Structures such as water tanks, roof vents, grain elevators and decrepit walls are re-imagined as tiles, drawings, classic niches, or as a stand-alone sculptures. These utilitarian forms are elevated to an iconic status. The figure has made an appearance in a somewhat auto-biographical way-exploring its relationship to place and time. I am interested in weathered surfaces that bear witness to time passing: the painted layers and crusty glazes create an atmosphere of nostalgia, memory and often ruin. A native of Chicago, Lisa Harris has been a ceramic artist for over 30 years. After graduating from Grinnell College in 1975, she continued her studies at the Evanston Art Center(EAC) and the Art Institute of Chicago. 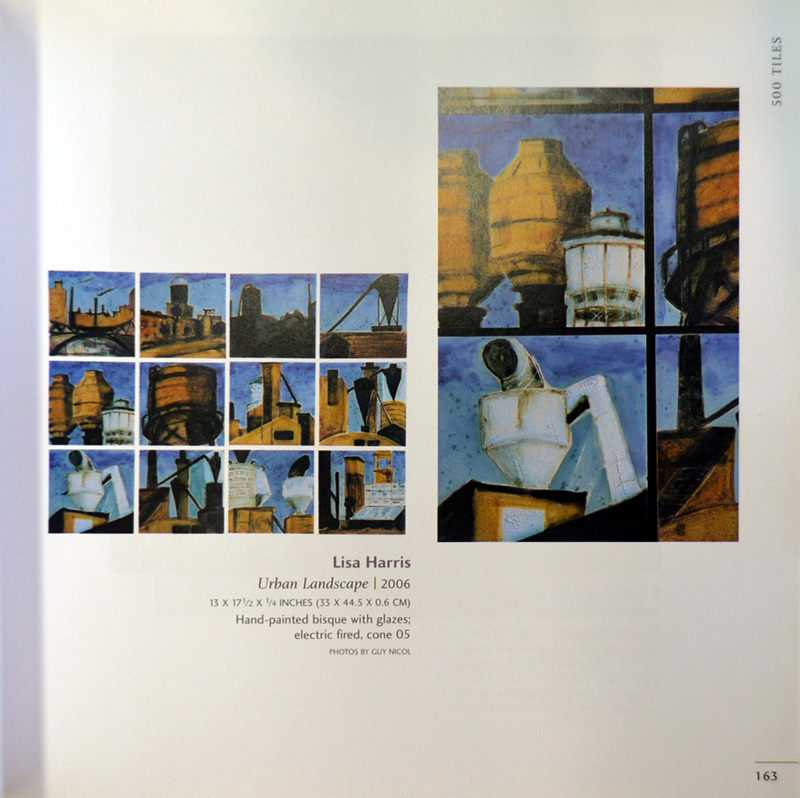 Lisa was an artist-in-residence at the Noyes Cultural Arts Center and in 1985 became a studio member and instructor of ceramics at Lillstreet Art Center in Chicago, where she currently maintains a studio. Lisa has pursued vessel-oriented sculpture with distinctive architectural themes. She is also a tile maker creating decorative bas-relief tiles inspired by architecture and its vocabulary of ornament. 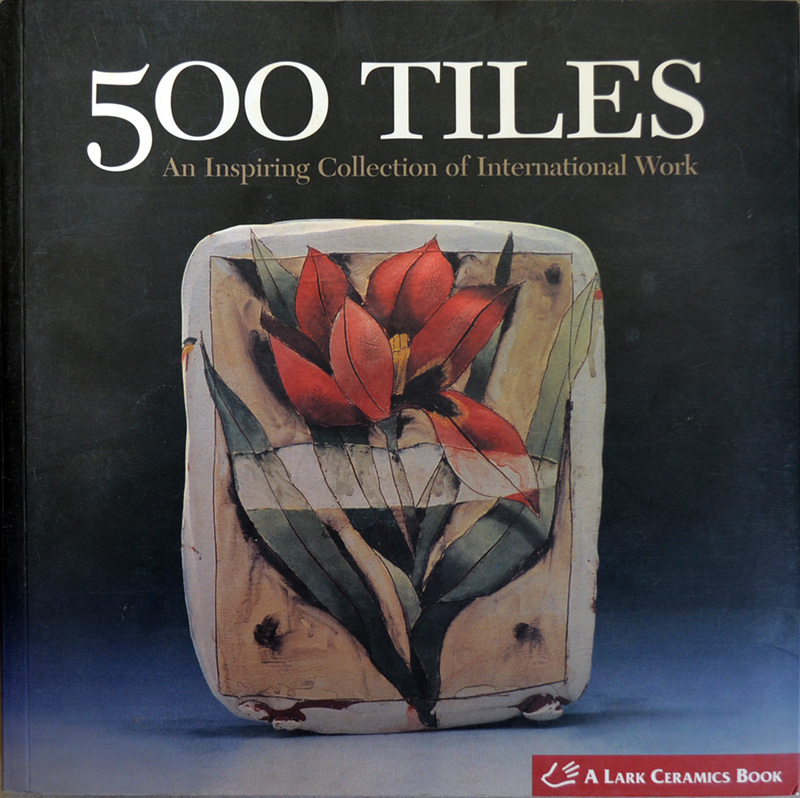 Lisa has taught extensively; in addition to on-going classes at Lillstreet and EAC, she has led many workshops on topics such as decorative treatment, tiles, and glazing. A three- week continuing education workshop for teachers was a notable assignment. 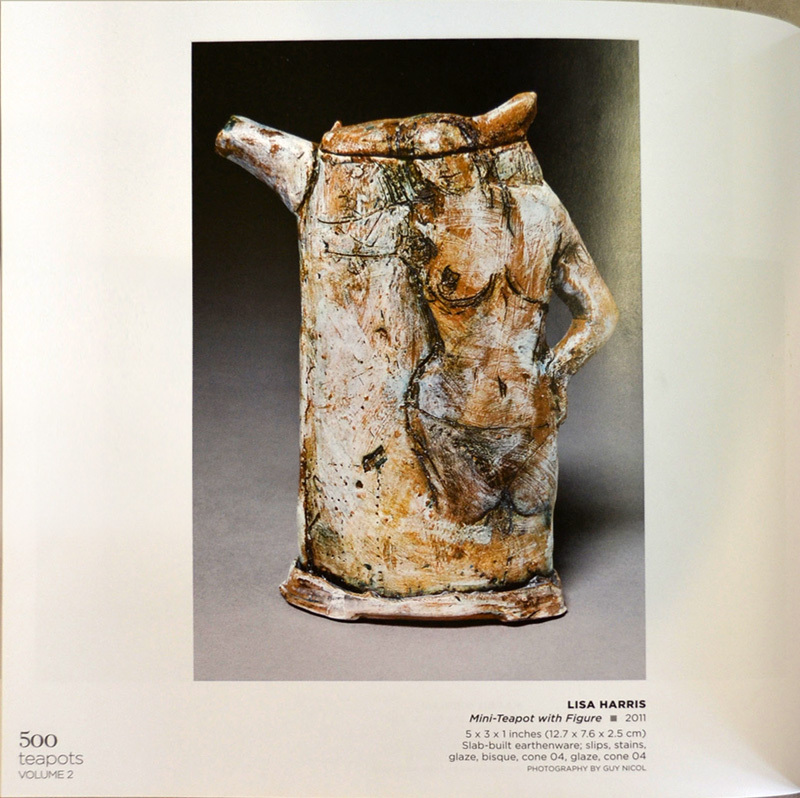 There studies included African, Chinese, and Native-American ceramic traditions. Lisa Harris has participated in many juried and invitational exhibitions. Recently, a two-person show at the Fermi Lab Gallery in Batavia featured her urban/industrial teapots forms. Lisa has been featured in Elle Décor, Chicago Tribune, Midwest Living, and Ceramics Monthly. 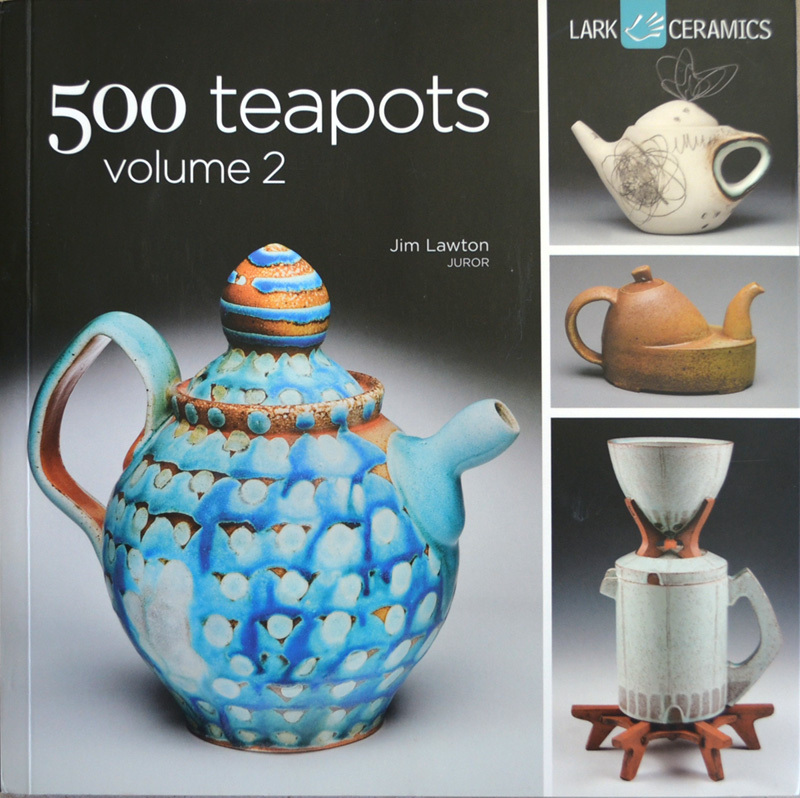 She is included in Making and Installing Ceramic Tile, Lark Books – 500 Tiles, and most recently Larks 500 Teapots Vol 2. In addition to ScanlanFineArts.com, Lisa is represented by the Illinois Artisan Shop in Chicago and downstate Whittington, Alchemy Fields in Door County, and Lillstreet Art Center. Finally, an offshoot of these endeavors is Lisa’s sideline in ceramic restoration and repair work. Sculpture, heirloom pieces, pottery, etc., are painstakingly glued, rebuilt, patched, and painted bringing them back to life and making them whole again.